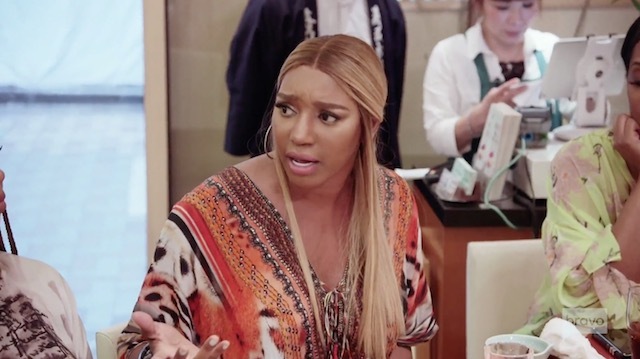 NeNe Leakes Gets Left Behind On Tonight's Real Housewives Of Atlanta! While Eva is dealing with increasingly bad news about her grandfather, Marlo Hampton comes at her with a super personal attack on Eva’s family! Marlo must still be salty about her luggage being lost! Or being a Friend of the Housewives instead of a full-time cast member. Again. Despite all the drama, the women do manage to gather to celebrate Eva’s bachelorette with a wild ladies night in Tokyo’s red light district that features samurai strippers and karaoke! Tune in to Bravo at 9 PM tonight for a brand new episode of Real Housewives of Atlanta! Chat about the episode while it’s airing in the comments on this post. Or follow Reality Tea on Twitter for some conversation in the live tweets. And make sure to check out my recap tomorrow morning! TELL US – DID NENE LEAKES DESERVE TO BE LEFT BEHIND? OR SHOULD THE OTHER ATLANTA HOUSEWIVES BE MORE UNDERSTANDING? WHAT DO YOU THINK ABOUT THE REAL HOUSEWIVES OF ATLANTA TOKYO TRIP SO FAR?